Earlier this year the IRS announced that the due date for the copy of the Form W-2 required to be filed with the Social Security Administration changed. 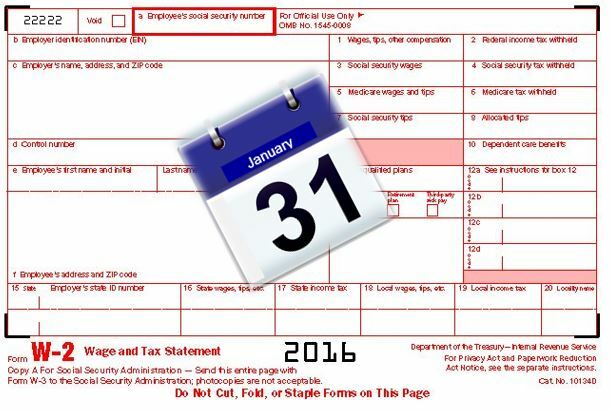 Instead of being due by the last day in February for paper filers or March 31st for electronic filers, all filers must submit the form by January 31st. The change was made in an attempt to curtail excess fraud schemes that had cropped up around filing fraudulent 1040 forms and requesting nonexistent refunds. The states, suffering from the same type of fraud, also began changing due dates as well. Our white paper this time is a recap of the changes and lists the current due dates for the forms by state. This list is current as of July 14th. Of course, as legislatures return in the fall, we may expect more changes. We will publish a final due date list in late December. Subscribe to The Payroll Pause to get all the latest information on Forms W-2 due dates as well as other important payroll news as it happen. Only $149 a year to subscribe. Don’t miss a single day of the news you need. Subscribe today!